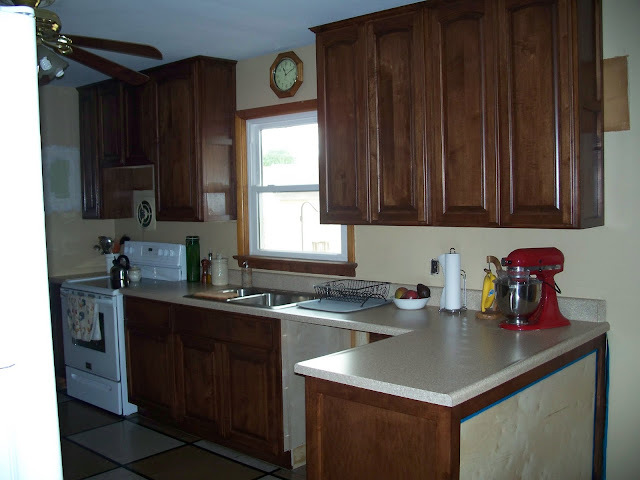 My kitchen cabinets are done! I am so excited! And that's saying a lot because not too many things make me feel giddy. I suppose that it's because I spend much of my day in the kitchen and my previous kitchens have always been smaller and old, um, retro or vintage. So, while it may not seem like much to others who live in newly built homes, it is a BIG deal to me. For this stay-at-home mom, the kitchen is where the action is. Cooking, cleaning, (and in our case) laundry, and studying all happen in the kitchen. It is truly the heart of our home. 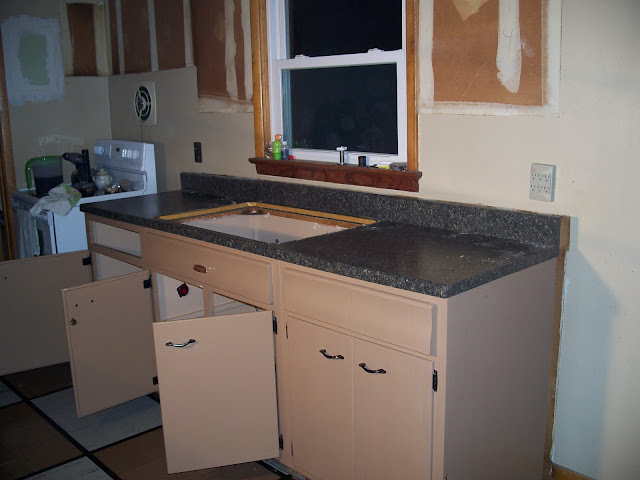 Here are the old cabinets on their way out. They are being reused in my SIL's workshop. 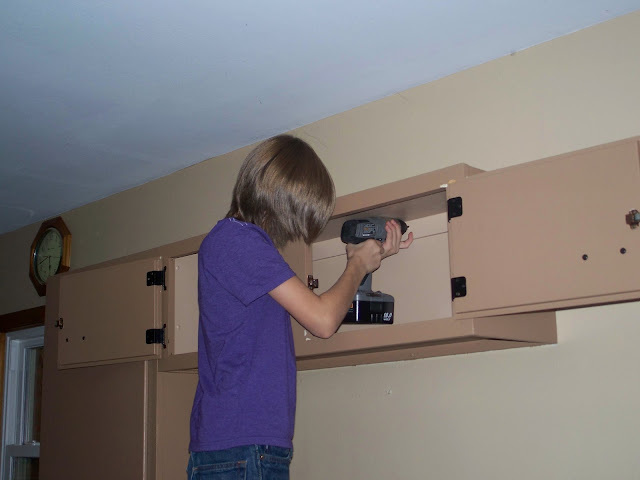 Noah is our budding carpenter. He loves building and deconstruction, of course. That screw he is working on in the picture did NOT want to come out. It finally took Papa Bear grinding the head off of it! 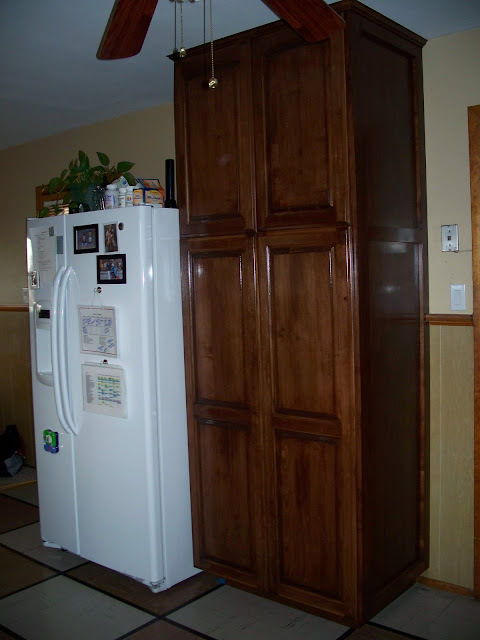 And here are the custom made cabinets that were made by Steve, a friend of my husband. Steve makes beautiful, top-quality cabinets in his spare time and is a humble, God-glorifying man. The unfinished back side of the L-shaped cabinet is going to be painted with black chalkboard paint . 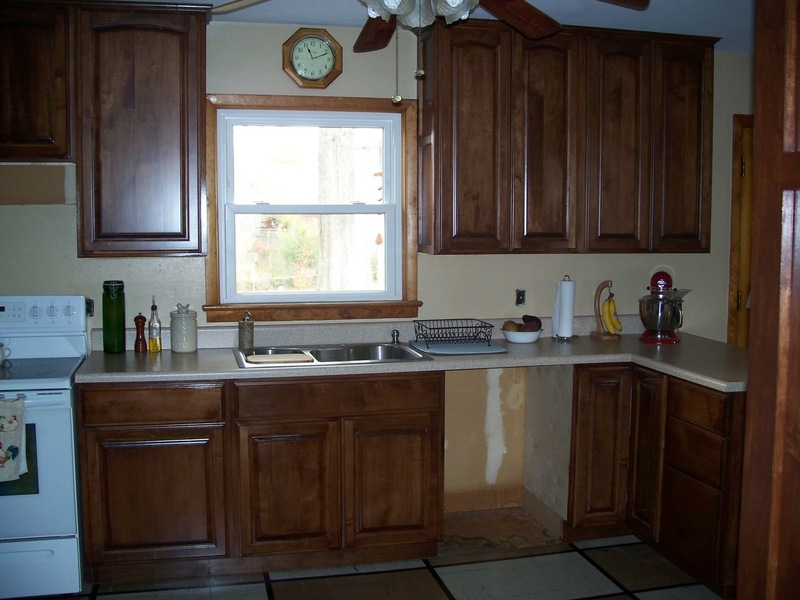 The empty spaces will be filled with a dishwasher (of course!) and an overhead microwave very soon. 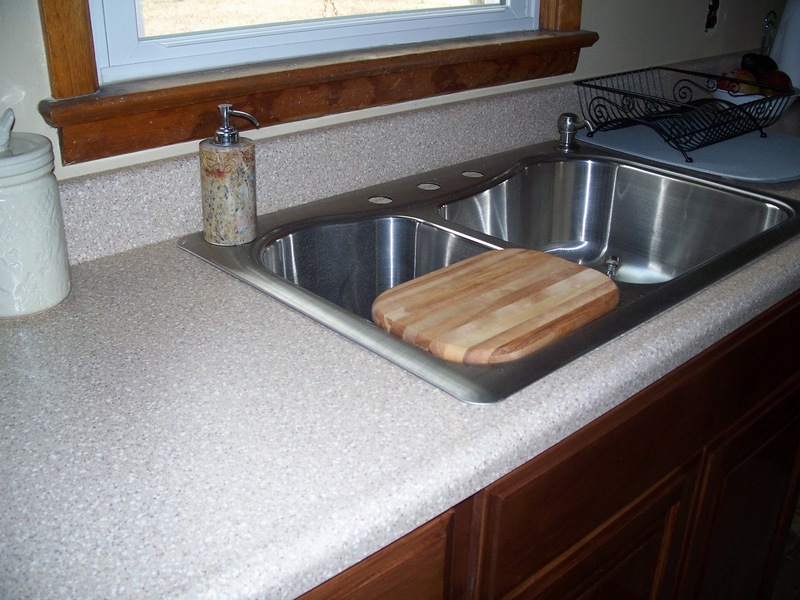 I love the shine of a stainless steel sink, especially this one with offset, deep basins. Papa Bear is going to install the new faucet tomorrow. And the crowning glory...the PANTRY. Since I don't have a walk-in pantry or closet, I needed something to hold all of our dry goods and my small appliances. 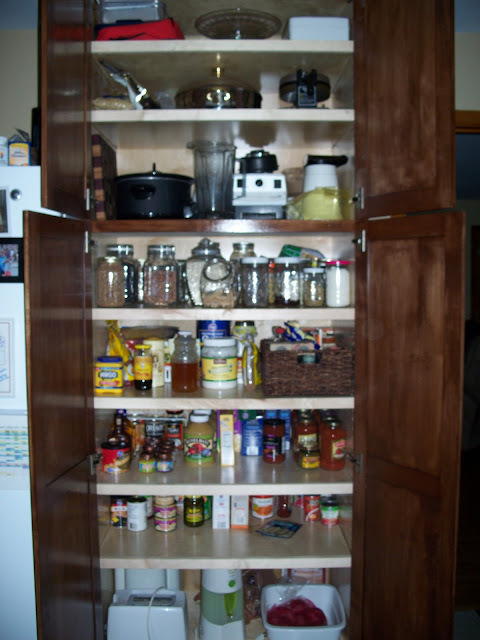 I was originally going to do a base/upper cabinet combo but, at the last minute, it struck me...the biggest pantry we could afford! Want to see inside? Don't we all like to see what's in other people's cabinets? Now I need to find new lighting and window treatments, paint the walls, and cover the checkerboard linoleum with something more pleasing to the eye. All without breaking the bank. Beautiful! I'm so jealous! I have a "vintage" kitchen too.